Antoine Chevalier harbors a secret. Born a gargoyle shifter, he wants nothing more than to cultivate his art. His hard work pays off the night he completes his greatest sculpture. But the excitement of his accomplishment doesn’t last. 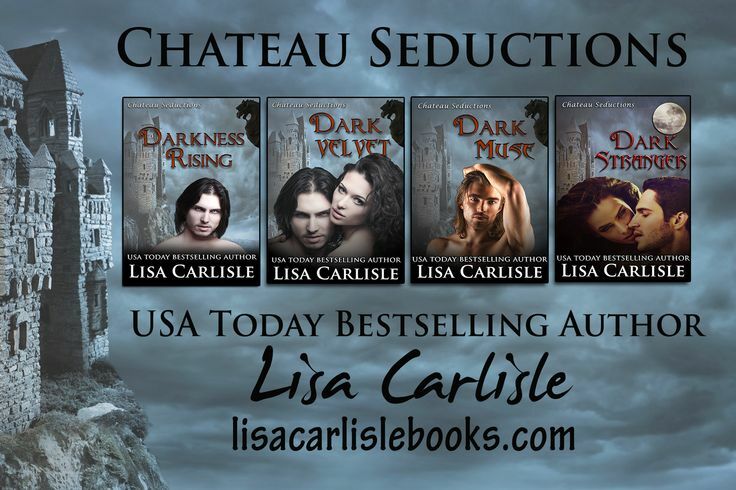 Darkness Rising is part 0.5 of the Chateau Seductions series by USA Today Bestselling author Lisa Carlisle. Readers have requested more on the dark and mysterious Antoine. In this short story, Antoine tells his tale, which continues in the series with Dark Velvet. Dark Velvet is written from Savannah’s perspective as a newcomer to an art colony who is intrigued by the proprietor. Click the graphic below to find out more about the whole series! ← New Release: It’s a hot one from Rebecca Airies!